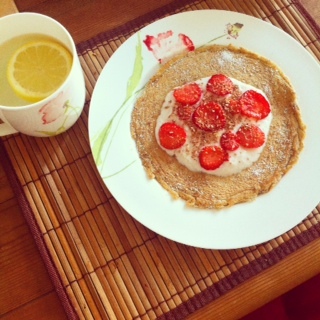 Today I had the nicest protein pancake today and thought I would share it with you. 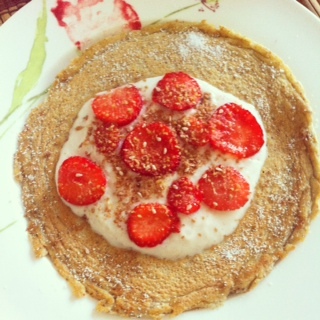 I have tried loads of different types of protein pancakes and while they are nice, they can sometimes seem a bit bland. Today I used a different protein and I think that made all the difference. Casein protein is the one I used and it has such a nice taste to it. I opted for the vanilla flavour as it’s not too over powering. There’s also no powdery after taste leftover. I figured I should eat a healthy breakfast seeing as I knew the rest of my day would not be so healthy! This entry was posted in Food and tagged breakfast, diet, easy recipe, fitness, food, health, healthy recipes, Lifestyle, nutrition, pancakes, protein, recipe, weightloss by ZOELEXA. Bookmark the permalink.